From boutiques, to artisanal experiences, farmers markets, and more, there are plenty of ways to enjoy locally-made and produced items on your next visit to Lehigh Valley. For the foodie, you’ll definitely want to dive into the various farmers markets throughout the region. There’s no need to make a trip to the big-box grocery stores with local gems like these! All year round, the Allentown Fairgrounds Farmers Market features local produce, sweet treats, butchers, and so much more. The large indoor market can be found at the Fairgrounds on Thursdays, Fridays, and Saturdays. Restricted hours are typically in place over holidays. Browse more than 65 vendors, and be sure to bring your shopping bags! You’re sure to leave here with plenty of goodies. You can even pick up a bottle of wine from Clover Hill Vineyards right on site! On the opposite end of Lehigh Valley, you’ll find the country’s oldest continually running outdoor farmers market. The Easton Farmers’ Market is located in Centre Square, and runs Saturdays May – November, as well as Wednesdays June – September. Enjoy some fresh air as you stroll through the variety of local vendors. You’ll even catch live music happening alongside the fountain on most days. 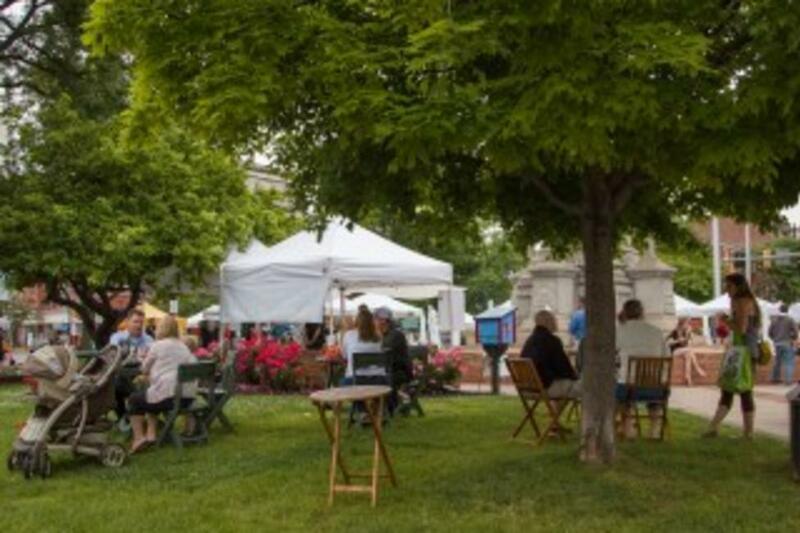 The Easton Farmers’ Market is also known for hosting some tasty themed events such as Garlic Fest and the ever-popular Bacon Festival. And coming soon to downtown Easton, you won’t want to miss the Easton Public Market. Modeled after the Reading Terminal Market in Philadelphia, this indoor market will feature regional and artisanal products that will add a unique dose of culture to the downtown area. Stock up on produce, meats, cheeses, and more, or enjoy one of the ready-to-eat meals from an assortment of vendors. For an entirely organic selection, visit the Rodale Institute markets in Allentown. Find them at two locations: the 15th St. YMCA on Saturdays, and at Sacred Heart Hospital on Thursdays. Both locations are open June through October. Through these markets, Rodale Institute plans to establish a connection between local organic farmers and the residents of downtown Allentown. But these larger markets aren’t the only way to get your fix of local produce. On Sundays May – November, visit the producer-only Saucon Valley Farmers Market offering locally-grown fruits and vegetables, lamb, home-baked breads and pastries, jams and jellies, coffee & honey, flowers and herbs, homemade soap, poultry and eggs and so much more. You won’t find produce fresher than this! Families will love the on-site entertainment including story time for kids, live music, and more. On the western end of Lehigh Valley, be sure to check out two additional markets. The Macungie Farmers Market runs every Thursday from mid-May through late October at Macungie Memorial Park. And on Sundays, visit the Emmaus Farmers’ Market in the National Penn Bank parking lot from April – December.